Why don’t I see NRD90M in NRT for my device yet??? 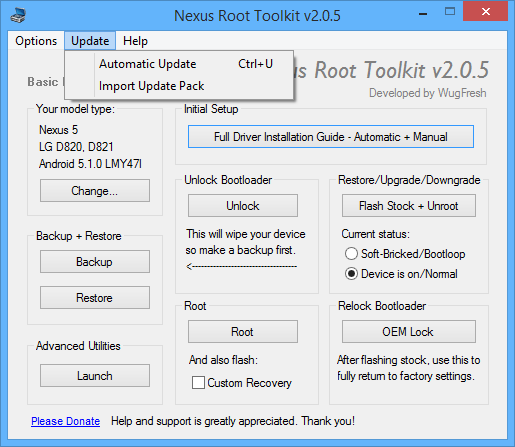 Why don’t I see NRD90M in Nexus Root Toolkit? When will you update it to support NRD90M for my deivice? The answer is simple. As of right now (8/30/16) Google has not yet published NRD90M Factory Images for all of the Nexus Devices Yet. 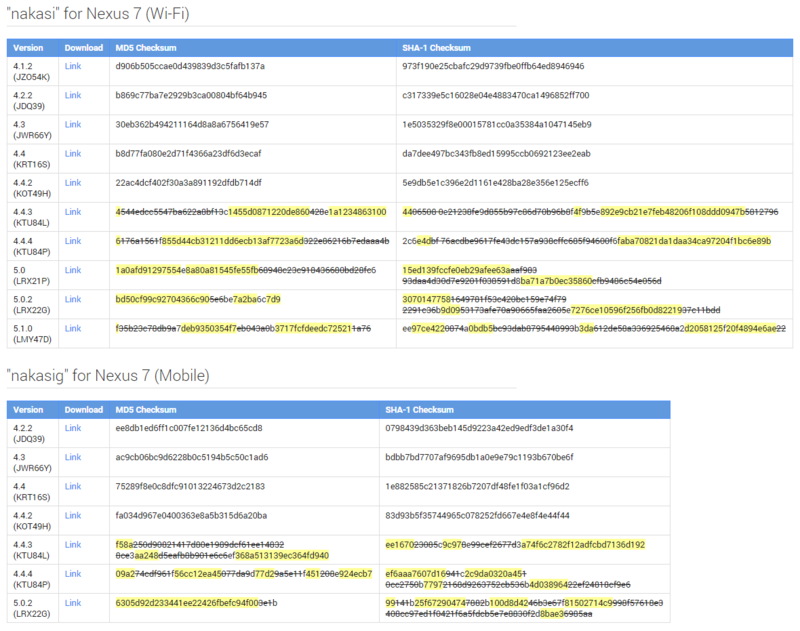 So, if you don’t have one of those devices, you will not yet see that build available in NRT. But WugFresh, I don’t have one of those devices – but my phone is already updated to NRD90M. What gives!? Can I root it? Yes, if you are signed up for the android beta program than you may receive an update before the factory images become available. If so, YES – you can currently root it with NRT even though its not yet listed. * Alternatively, if you were to use the “Auto Detect Device + Build…” button, it would automatically select this option for you. So.. how to get Android 7.0.0 for a device that Google hasn’t published the Factory images yet?? But I want to update to 7.0.0 with NRT! When will the 7.0.0 update be available for my device?? Answer: I don’t know, I am not Google. I will happily work to update this program when it does become available (hopefully soon), but for now – your guess is as good as mine. If you see this question in the wild, please do me a favor and link users to this post to answer any confusion. Stay tuned, NRT v2.0.6 is in the works with lots of new enhancements. 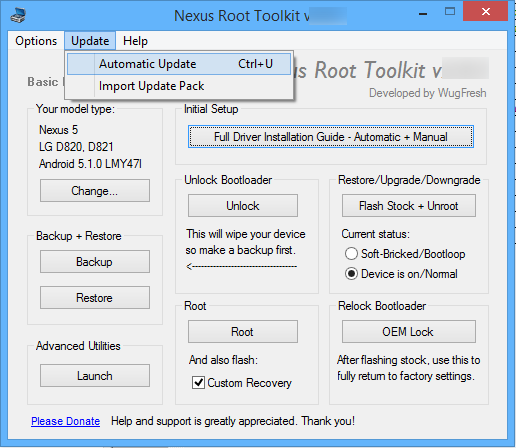 Bacon Root Toolkit v1.0.3 Released with full CM12 Support! BRT v1.0.3 is now out and available for download. Fully supports the newly released CM12. Other updates are in the works for v1.0.4 so stay tuned! Sidenote: So far I am actually really liking CM12 on my OnePlus One! I think the default theme is very clean with nice contrast. Great first impression. What do you guys/girls think of it? Masterlists 3029 Released adding full support for the newly released LMY47D 5.1.0 build for Nakasig [N7 2012 Mobile]. Just hit update in the kit to grab the new lists. You can use NRT to update your Nakasig device to the new build via “Flash Stock + Unroot” button, and select “Force Flash” (default/recommended) + “No wipe mode” (if your device is currently running Lollipop and you want to retain data. Not advised if you are running KitKat). Just like always, when a new build is added to NRT – all the features in the kit are supported. You can automate root, backups, flashing zips, etc. Hey guys. 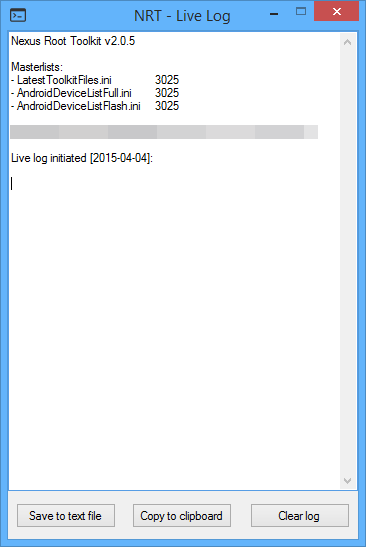 For those who experienced hashcheck mismatches for the new TWRP (2.8.6. *) recoveries, this is resolved now. The issue was due to TWRP renaming their recoveries to not include the “openrecovery-” pretext. Everything is fixed now, just hit update in the kit to get the latest masterlists (3025) or use the manual import. Check out the full changelog for the other changes in this release. And head over to the main download page to grab it. Factory images for LMY47I 5.1.0 were just released for the Nexus 5 (hammerhead) and Nexus 6 (shamu). I just updated the NRT masterlists now to extend full automated support for this new build. Quick Tip: In the future, “Other/Browse” feature in flash stock can be used to flash new builds before I even update the masterlists. 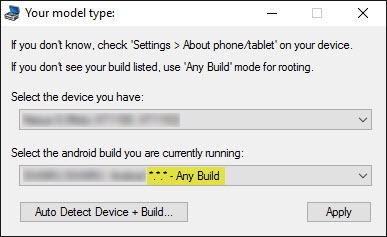 Also, setting your build to “Any Build” should always work for rooting. 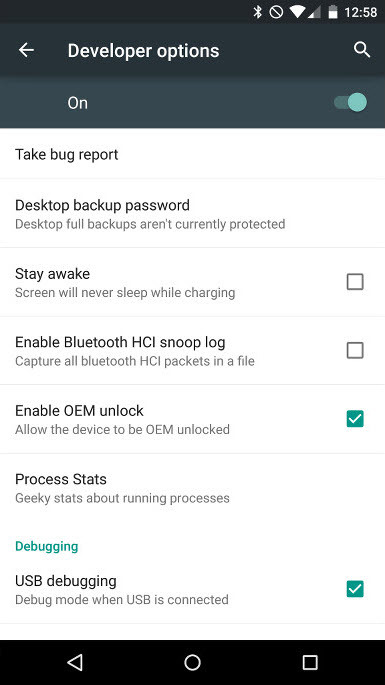 On the Nexus 6 and Nexus 9, some of you may have noticed that the “Enable OEM Unlock” security setting in developer options seems to auto-reset to disabled. I asked around and found more info about this behavior. The auto-resetting of “Enable OEM Unlock” to disabled is an intentional security feature by Google, and it happens after a certain number of reboots. Significance? Nothing you need to worry about, or constantly keep trying to re-enable once you are unlocked already. If you are unlocked already, its fine if “Enable OEM Unlock” is disabled. Just make note of this setting and behavior if you intend on relocking your bootloader (which should only be done if you are reselling/returning). More specifically, if you plan on relocking, you should first flash stock, and make sure everything is running smoothly, so if you need to re-enable this setting to unlock again, you can do so easily. Main point: don’t bother relocking your bootloader unless you absolutely need to, and are sure your device is healthy before doing so. I will be adding a little notice about this in the relock info message in the kit in the up-coming v2.0.5 release. Stay tuned, and happy flashing. 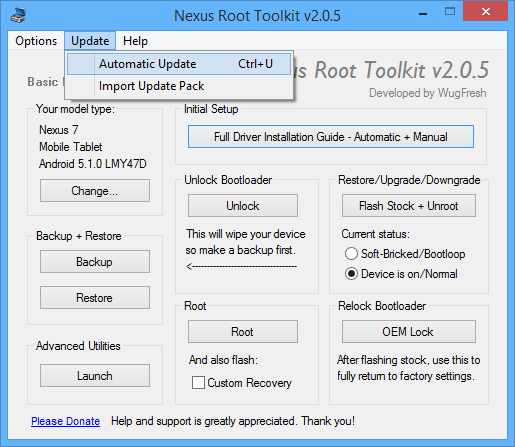 Nexus Root Toolkit v1.9.4 Released! Full Lollipop support! Bug fixes and optimizations.